The Bug‘s approach to grime may be the dirtiest of his contemporaries: Dizzee Rascal, Wiley, Jammer. This four-track EP, Filthy, is so dense with sound, it’s a wonder there is any room for the rhymes of its intense featured MCs. “Freakshow” has the screeches of Danny Brown and the gentle breaths of Kiki Hitomi blending over its buzzing, industrial park, heavy machinery of beats. Flowdan shows up first on “Dirty,” which shares its predecessor’s lowdown bass rumbles, but is made humorous by its MC’s humorous lyrics. Jamaican sound systems inform “Kill Them” with the baritone growl of Daddy Freddy giving it that much more authenticity. Flowdan shows up again on the closer, “Louder,” just as funny, but this time against low-slung, undulating rhythm backdrop, also heavily influenced by reggae. 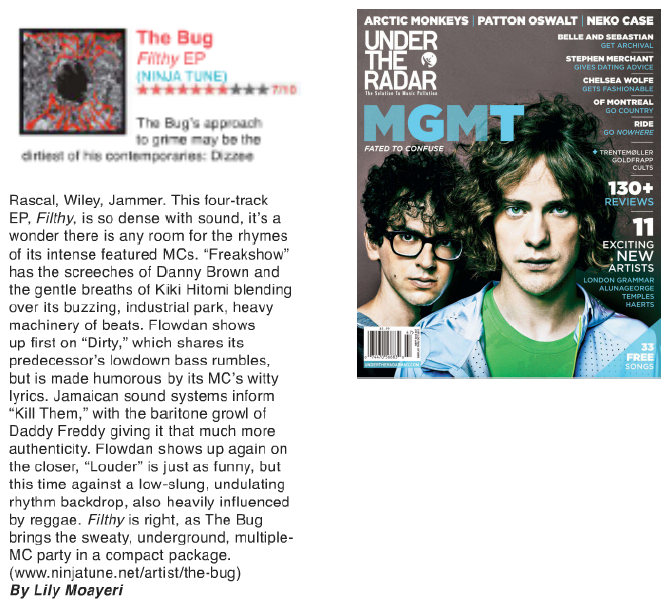 Filthy is right as The Bug brings the sweaty, underground, multiple-MC party in a compact package. 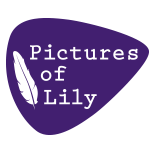 This entry was posted on September 10, 2013 by Lily Moayeri in Reviews and tagged dizzee rascal, filthy ep, jammer, lily moayeri, ninja tune, the bug, wiley.